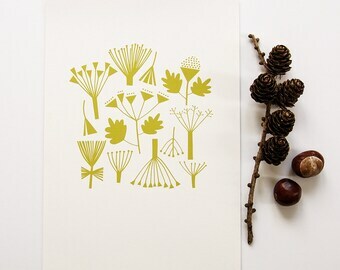 Announcement Hello, I'm Dee a Designer & Printmaker based in the Peak District UK, where I design and print my work from my small printmaking studio. Please note my Giclee prints are shown as A4 but can also be produced as larger A3 prints (Please contact me for details) Giclee prints will fit standard off the shelf frames. If you would like to send a print as a gift I can send the order to your preferred address and also pop a handprinted note card in with a message of your choice at no extra cost, just convo me the address details and personal message after you have ordered. Don't hesitate to contact me if you have any questions or specific requests. Hello, I'm Dee a Designer & Printmaker based in the Peak District UK, where I design and print my work from my small printmaking studio. Just as beautiful in real life! Well packaged and arrived quickly. Love this print - thank you. 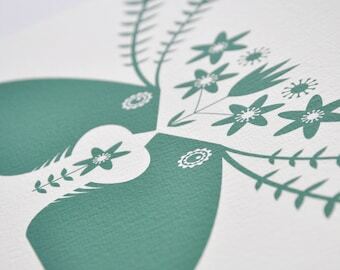 Beautiful print on lovely paper! Spring Bulbs, set of 4 prints. 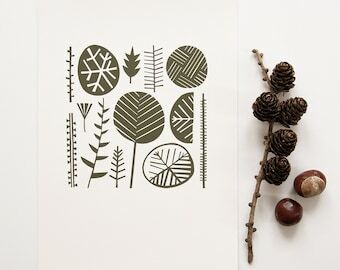 Winter and Autumn woodland prints. From one of my original paper cuts. I originally studied graphic design and illustration. After graduating I went on to work in design agencies for over 15 years. Whilst taking time off to have my second child I made the decision to become freelance. I’ve always had an interest in printmaking and dabbled in it briefly during my time at Art College. 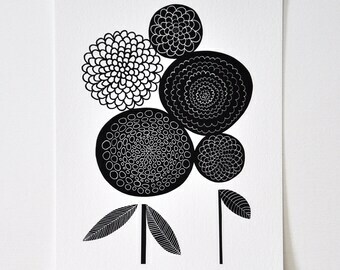 I rekindled the interest after stumbling across the Print Gocco a few years ago. 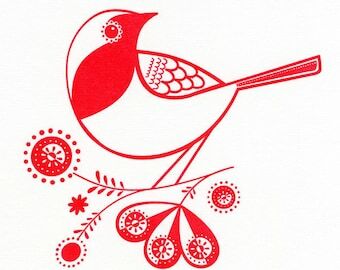 For anyone who doesn't know, Print Gocco is small self-contained table top screen-printing machine first produced in Japan in the 1970s the process is very similar to screen-printing and at one time a Print Gocco was found in most Japanese homes. After producing my first small range of prints in 2009 I opened my Etsy shop I would never have imagined back then that over the next few years I'd be sending my prints to customers around the world and connecting with so many vibrant interesting people in the worldwide creative community. I work from my home studio in the Peak District Derbyshire one of the first National Parks in the UK. It's a very beautiful place to live with breathtaking scenery and a diverse range of native plants and wildlife, an endless source of inspiration. 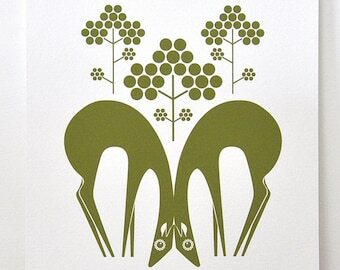 Hello I’m Dee, I'm a designer/printmaker based in the UK where I work from my small studio in the Peak District. 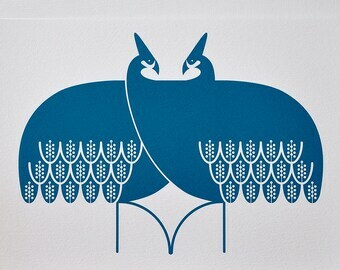 Hello, I'm Dee and I’m a printmaker living in the UK. All my prints are designed and hand printed by myself on a Japanese Gocco (Screen Printing) Machine. Due to the nature of hand printing each print will be slightly different. If you are unhappy with your Item please email me straight away. Please Note - Any additional customs charges to be paid by the buyer. If this is a problem please let me know an I'll refund your order in full. I aim to despatch orders within 3 working days. I've sent many prints worldwide and use Royal Mail International Standard which I have found to be very reliable and aims to deliver in 5 - 10 working days. Recorded delivery requires a signature so if you would like your print delivered to a more convenient address (for example a work address) please send me the details when you order. If you are a gallery/craft shop wishing to stock my work please send me a convo and I will contact you via email.